If you click Show Details to expand this error, on line 23 you can see the following “Library not loaded: /Library/Frameworks/iLifePageLayout.framework/Versions/A/iLifePageLayout” which seems to be the root of the problem. 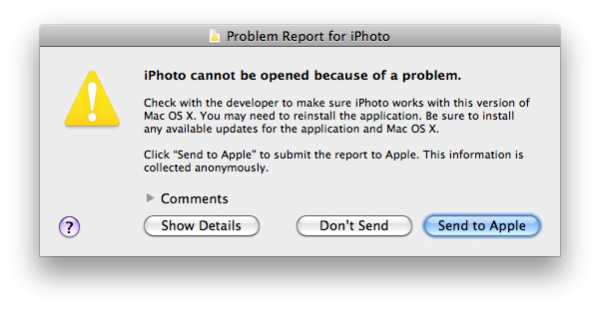 I am running iPhoto 9.2.1 under OS X 10.6.8 but users of Lion also seem to be reporting similar problems. I have left my MacPro running Disk Utility to check and repair any errors/permissions on the drive(s) and will see if that helps. Failing that, the next step will be to remove and re-install iPhoto, this post will be updated later once a fix has been found. UPDATE 01 : Disk utility did not find any errors but I have noticed after a restart that software update is now prompting me to install the latest iPhoto update (v9.2.2) released 7th March 2012. 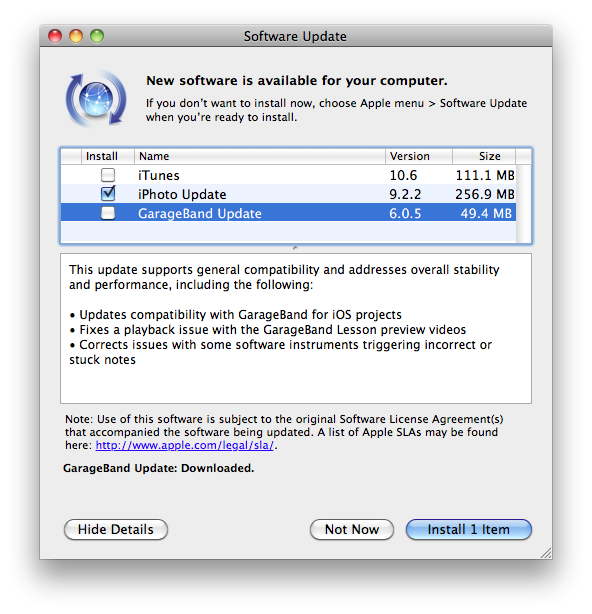 I suppose I should have checked software update straight away before trying anything else. I am currently downloading the 9.2.2 update which will hopefully resolve the issue. 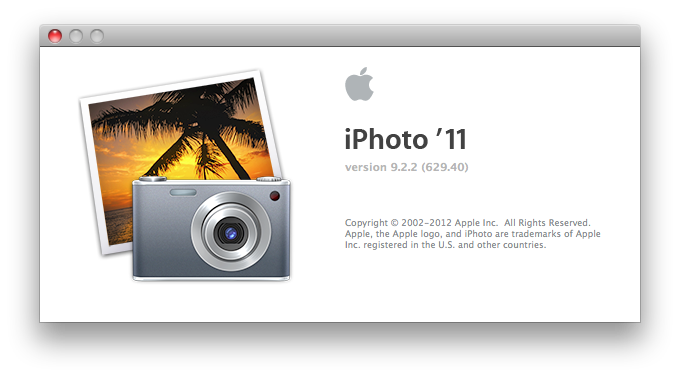 UPDATE 02: iPhoto 9.2.2 update installed successfully and has fixed the issue. 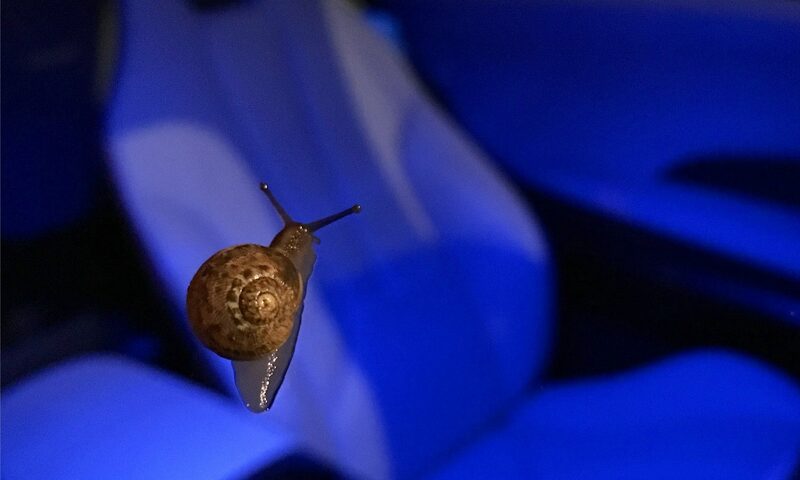 I am now able to launch iPhoto without any errors. Previous PostPrevious New iPad Predictions. The iPad HD or the iPad 3?